Today we’re reviewing an item that has gotten very little love on the site, something we all have and use but frankly take for granted all the time. The hard drive has been somewhat forgotten as most people mention how its an out of date technology and that NAND is the future, well that still isn’t true and probably won’t be for another few years especially in the high capacity side. 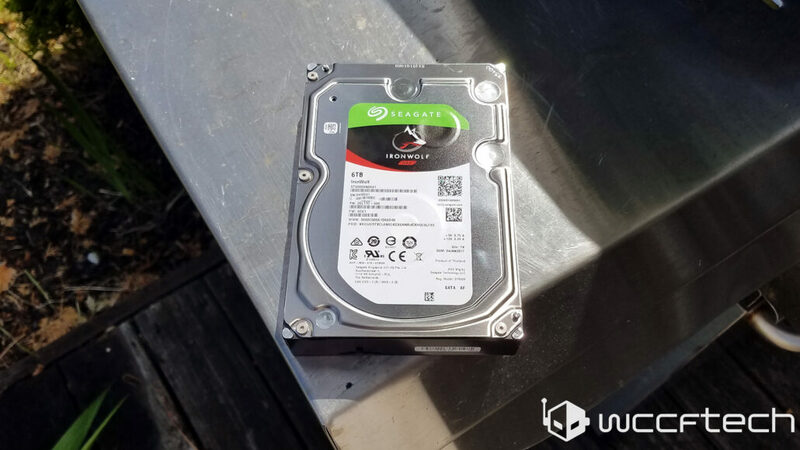 Today we will be taking a look one of Seagate’s Ironwolf drives which are NAS drives used ideally for network attached storage systems, and aim for very fast sequential performance with models from 2TB, 4TB, 6TB, 8TB and 10TB capacities with all of them rotating at 7,200 RPM which is much faster than the competitor WD Red drives which are only 5,400RPM and 3.5 inch format. The 6 TB, 8 TB, and 10 TB models have 256 MB cache memory, while the 2 TB and 4 TB models have 128 Mb of cache RAM. Being focused on the enterprise network environment, the IronWolf Pro aims at performance, but also on data protection. 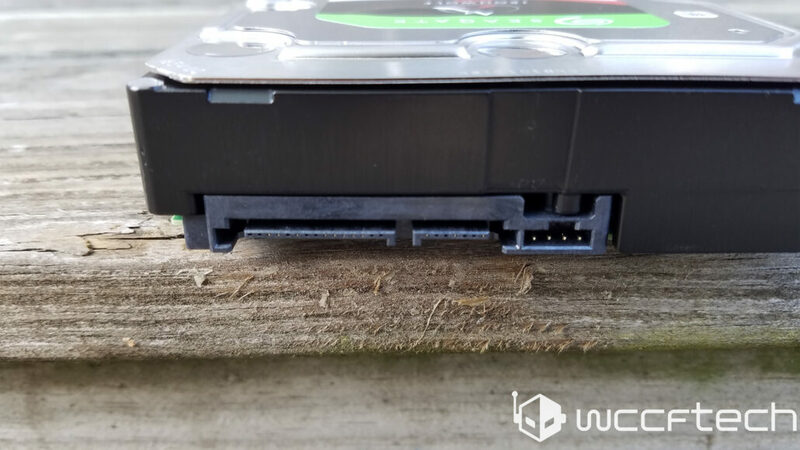 They are recommended to NAS units with up to 16 drives and, according to the manufacturer, come with vibration sensors that help to protect data while under mechanical vibration. Seagate has had in recent years problems with the Backblaze reliability study did show the Seagate drives in the past being less reliable than the competition, though their methodology isn’t perfect it is a rather useful indicator of drive reliability. 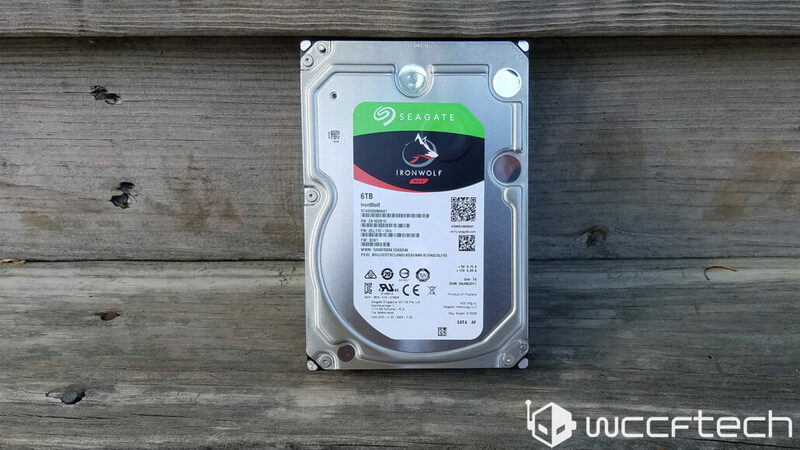 Seagate has chosen to add a Guardian series in recent years and has promised to improve reliability in all their drives as well. Seagate does go above and beyond with things that aren’t listed on the box. For instance, Seagate attaches the spindle to both the top and bottom of the case which will improve stability. The drives also support the ATA-8 streaming command set for increased performance when doing large sequential transfers. This allows the IronWolf to handle a maximum of up to 64 data streams simultaneously. AgileArray also features optimized power management that provides a faster response time while still reducing power consumption. This drive has slightly different locking positions compared to regular consumer HDDs, check your drive cages and if you have 2 small rounded pieces sticking out of the bottom of the cage to “lock” the drive in place you need to either get rid of them with a file/Dremel or use another drive cage. This was an Issue I ran into with my Phanteks case, though other drive caddies that I had on hand fit just fine. 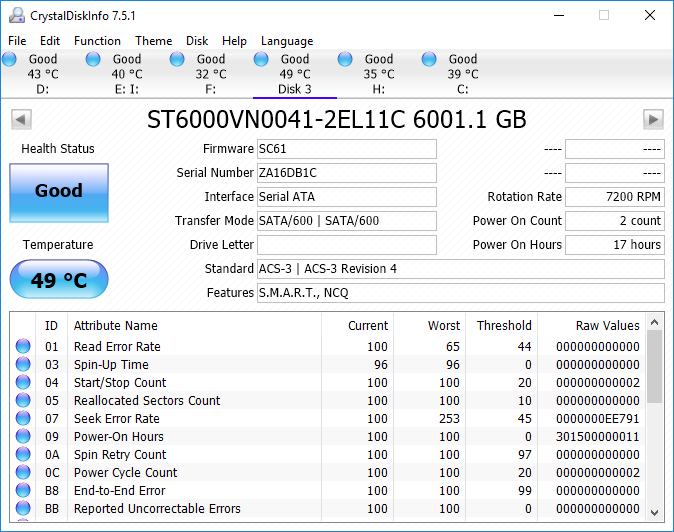 We see some Seek Error rate values here, mostly due to the drive being improperly formatted the first time I set it up and some issues with some of the benchmarking software. Looking at ATTO we see a significant performance difference between the two drives, and respectable performance the whole way through the benchmark for the Seagate Ironwolf 6TB which remains much closer to some of the SSD’s we’ve tested until we hit past 16KB which all of the SSDs we’ve tested absolutely fly past at, though roughly 230MB/s is still rather respectable. Here the Ironwolf absolutely decimates the older WD Black, as it should since it costs about $200 and is a few years newer. The Seagate Ironwolf 6TB at worst leads by only 60% and at most takes a lead almost 3 times that in 4k writes. Frankly, this is rather impressive here. 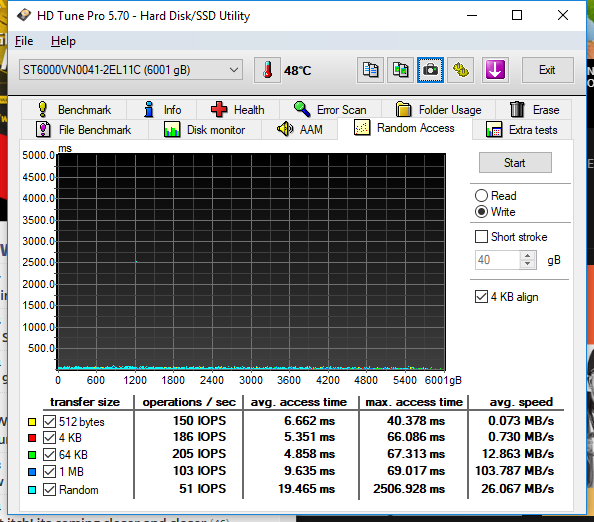 For PCMark 8 we see a more realistic use case scenario and even though the drive is much faster, HDDs are still not ideal for applications and an SSD is really what most people should be using at this point. 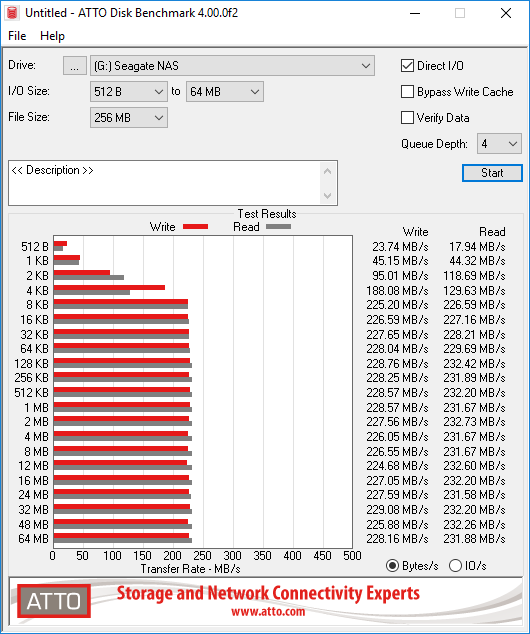 That being said the Seagate Ironwolf 6TB is about 20% faster in most of these tests. 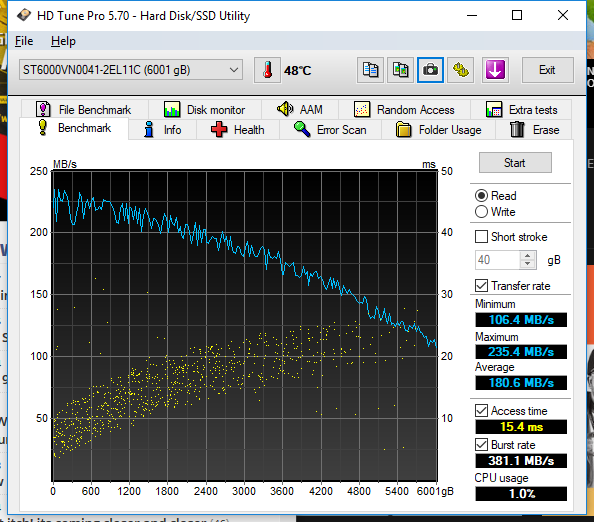 We more of the same, an absolute thrashing of the older drive while remaining 6 times larger it remains 30% to 80% faster in all the tests we’ve seen so far, with the exception of access times which are really close and the WD model even beats it, which is suspect is due to the fact the older drive is much smaller. Looking through the mass of results here we can see much more consistency in access time in reads and writes for the Seagate Ironwolf 6TB though in some cases the average access time the WD Black drive does beat it by 10% or so. 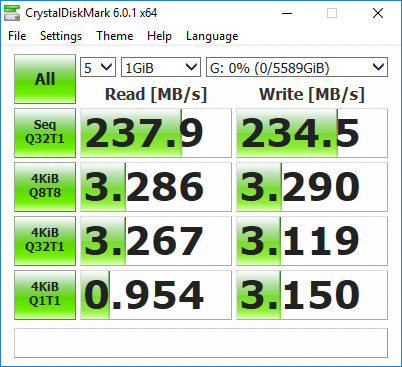 Though the random performance of the WD Black is all over the place and the Seagate Ironwolf 6TB is twice as fast and the write tests are an absolute joke on the WD drive, though oddly enough the random max access time on the Seagate Ironwolf 6TB drive is worse, I assume this is due to it being the larger drive, though I will find out more with further testings with newer drives in the pipeline. 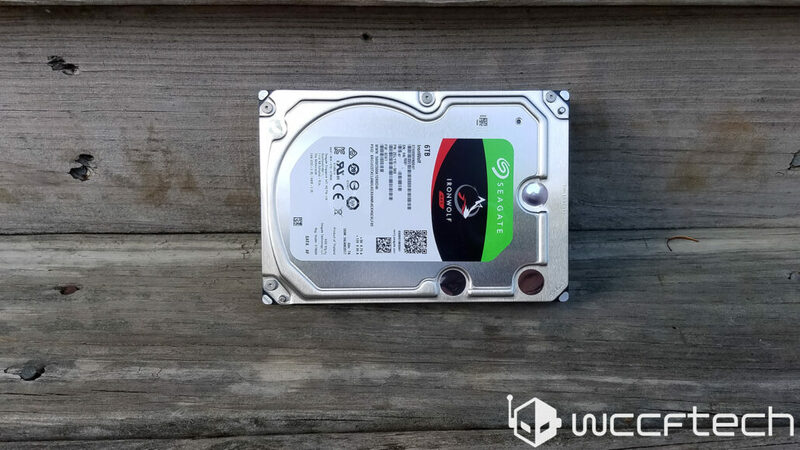 Looking at comparable drives the Seagate Ironwolf 6TB is definitely a strong contender and would make a great fit inside any home NAS as a file server for a Plex server, or any on-demand type service, as well as a solid part of a small businesses NAS set up. 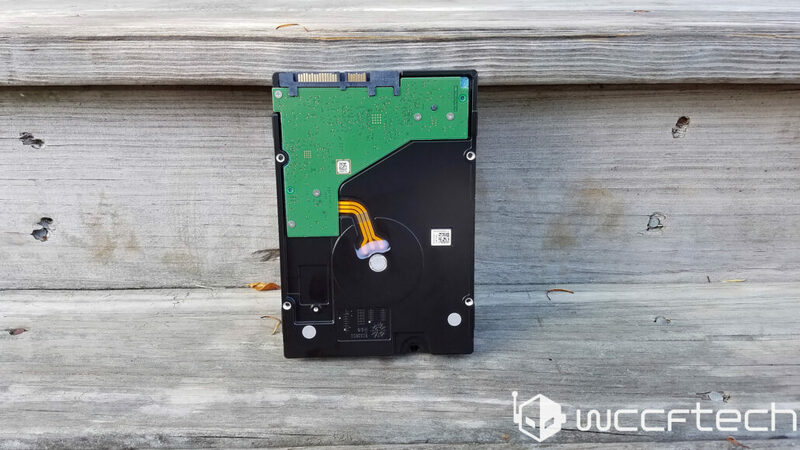 With only a 3 year warranty those looking to keep important data may want to look at the higher end Pro series of drives for the higher year workload rate and 5-year warranty. 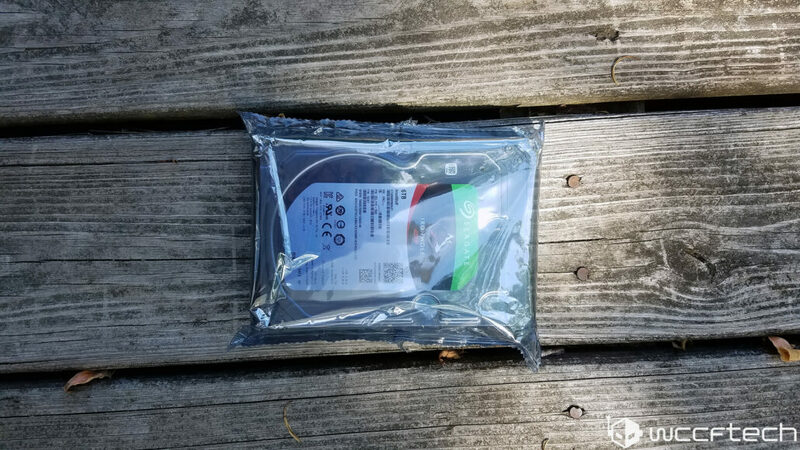 As it stands $200 for 6TB is not the cheapest you can get storage today, as Seagate has 4TB mainstream drives at 5900RPM for half that though it is not for a higher end drive like this. Quite simply I plan on using this drive myself in a future home NAS system and streaming media box, and if that is your goal or hell even throwing in your primary system this drive will do a solid job. Also as this is my first high-end HDD review and the first HDD review i’ve done in years I would once again appreciate the help of our readers to know what types of tests they would like to see in the future or any specific use cases they might have and their current interest level as well as personal usages for large capacity drives like this one. Finally the drive is currently on sale for Amazon Prime day for $135 and you should seriously consider picking one up.